I can’t reiterate enough that I do enjoy Botero very much. However, people watching in Plaza Botero proved to be just as enjoyable. 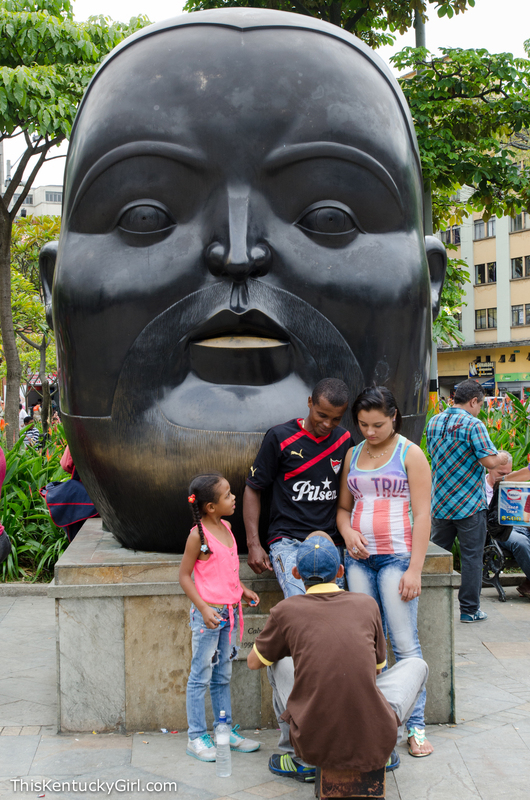 Maybe it was because the giant sculptures made such excellent backdrops to most of the interactions between vendors and tourists or children and their parents taking the picture, or even the police officers who asked us to sign a pledge that we were not doing drugs in Medellin. At least, I think that’s what we pledged! 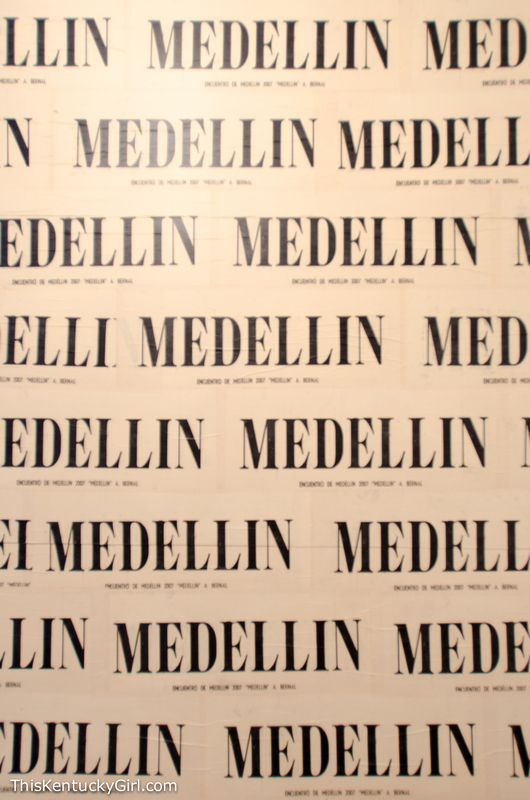 Inside Museo de Antioquia, we headed for the Botero wing first. There were more oversized paintings, more sculptures, and lots of early works that were interesting to see. I enjoyed this pair of paintings of Marie Antoinette and King Louis. Andrew’s favorite was the sculpture of a green violin. In another wing of the building (a beautiful old city building I might add) was a more contemporary collection. This piece below was titled “School Bad” by Colombian artist Paulo Licona. The entire piece is made of pieces of chalk. I thought it was clever. Aside from this piece, and the few pieces (below) by Antonio Caro, I think the museum’s collection of contemporary art was a little lacking.